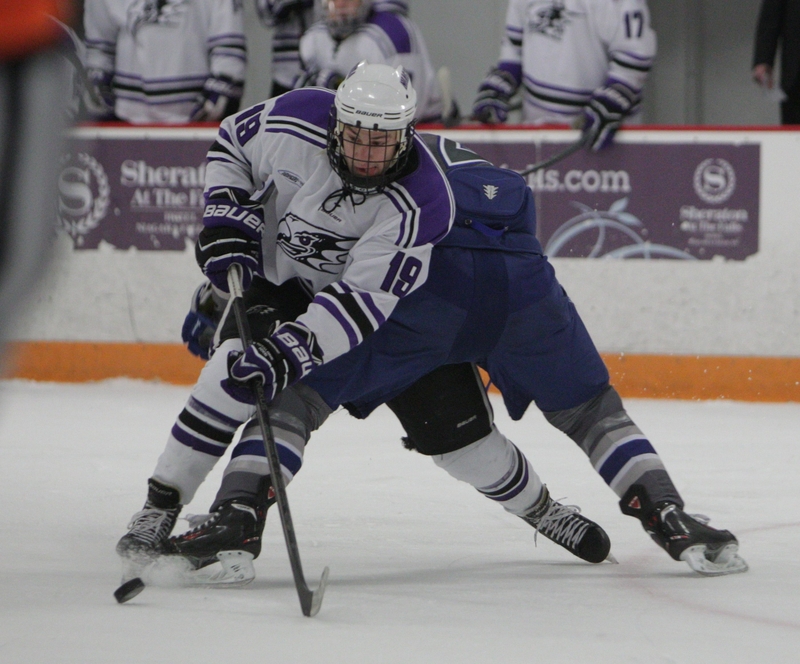 Niagara forward Hugo Turcotte (18) has 27 points with 11 goals. Key stat: Lakers are the top-scoring team in the conference, averaging 3.60 goals per game. Outlook: The Lakers are the top seed after winning the regular-season title. They lost to Canisius twice in regular season so don’t expect this team to look past the Griffs. A very skilled team that has all its parts back and healthy. They are dangerous throughout the lineup. Top players: Kyle Gibbons (37 points, 15 goals), Ben Danford (67 blocked shots), Tony Capobianco (2.75 gaa, .916 save percentage). Key stat: Canisius has outscored opponents, 20-6, in the third period this postseason. Outlook: Maybe it’s the letter “M” but something about March and Mercyhurst brings out the best in the Griffs. Canisius went 2-1 in the regular season against the Lakers, although the Lakers did have key players out of the lineup at times. The defending Atlantic Hockey champions can score throughout the lineup and like to play a physical game. While the Griffs have shown they can rally, it will be important for them to not spot the Lakers an early lead. Key stat: Niagara’s defense has improved in the playoffs, giving up just 2.00 goals a game and going 92.9 percent on the penalty kill. Outlook: Niagara is banged up with six players missing the Air Force quarterfinal, including leading goal-scorer Isaac Kohls. He is day-to-day. This is the third straight semifinal appearance for Niagara. Last year they lost to Canisius and they lost to RIT in overtime in 2012. Top players: Cody Wydo (47 points, 26 goals), Dalton Izyk (won three straight AHA playoff games as a freshman). Key stat: The Colonials are averaging 13.4 minutes in penalties in the playoffs and have yet to score a first-goal in the postseason. Outlook: They needed three games to beat last-place Army in the first round but went on the road and swept Connecticut in the quarterfinal series. Wydo is a skilled forward, but the scoring depth doesn’t go much behind the first line. They are a fast team and will beat opponents up and down the ice.